In the liberalized economies of developing countries, the risks arising from price uncertainty are being increasingly borne by farmers and traders, rather than by consumers or the government. Prices are subject to variations that can be unpredictable, and the direct and indirect costs of such uncertainty are significant. For households that depend on agriculture and associated activities for their subsistence, price risk can present an obstacle to the accumulation of assets which could potentially improve productivity, and help families to exit poverty. Several factors could potentially mitigate the effect which price uncertainty has on farmers, including financial literacy and a better understanding of past and current prices. However, little is known about the specific effects that these mechanisms can have on the economic outcomes of traders and farmers. 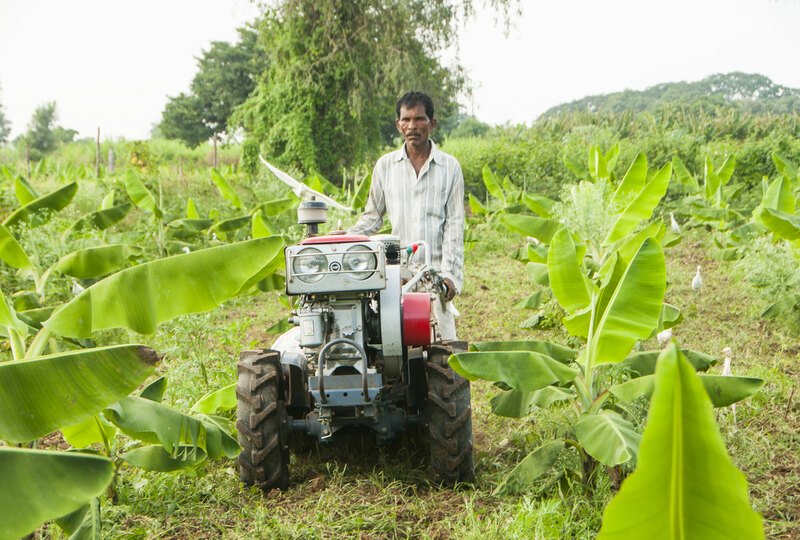 A majority of India’s population depends on agriculture and associated activities for their livelihood. The sector sustains the better part of the country’s demand for grains, oil, seeds, livestock feed, and increasingly non-food products for the production of bio-fuels. The production of these commodities relies on information from input and output markets, climate, and other economic factors such as global markets, substitutes, and commodity prices. Good information about these factors is needed to ensure stable production and pricing, but few farmers in Gujarat have access to this information. Futures markets play an important role in price discovery, and combined with up to date spot prices, may allow farmers to make more informed planting decisions, reducing uncertainty and allowing for better planting decisions. Better price information may also allow farmers to better time their harvest, and facilitate negotiation with intermediaries. The Futures Prices Information project was designed and developed to help farmers manage price risk, by providing them with information on two types of prices - futures and spot prices. Since 2007, SEWA and the project team have disseminated crop price information through posting on village boards to more than 50 villages in the state of Gujarat, India, in an effort to reduce price risk and promote forward-looking planting decisions among farmers. Prices were posted by sending them via text message to a designated “price poster” in each village. In addition to providing futures and spot prices for three main crops (cotton, castor and guar seed), the organizations worked together to train villagers on how to use futures prices for their benefit, through a two-hour interactive training session, which included a 25 minute video made by the project team. Impact on Awareness and Trust: Researchers found that training and provision of price information affect awareness, usage and understanding of futures prices. The program increased awareness of futures prices by 30 percentage points, to 90 percent, relative to the control group, and significantly increased the level of trust farmers expressed in formal financial markets. Impact on Price Expectations: Treatment farmers were more likely to report using futures prices to form price expectations, and had, on average, price expectations that were closer to contemporaneous spot prices. No change in crop choices or area cultivated was observed in the first years of the study. The project is ongoing, and future research will investigate how different methods of delivery impact knowledge about future prices, and decisions made with that information.